Upcoming talk: Won’t You Spare Me Over Til Another Year? I’ll be presenting current work as part of the Research in Progress series at the School of Media, Film and Music, University of Sussex, on Wednesday 26 February at 4pm. Details here. 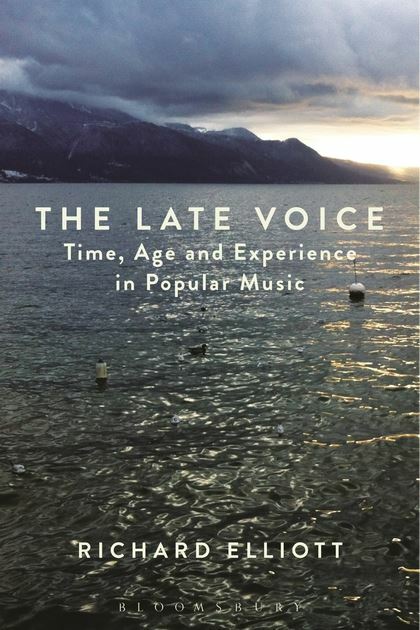 In this talk I’ll present material from the book I’m currently writing on the representation of time, age and experience in popular music. 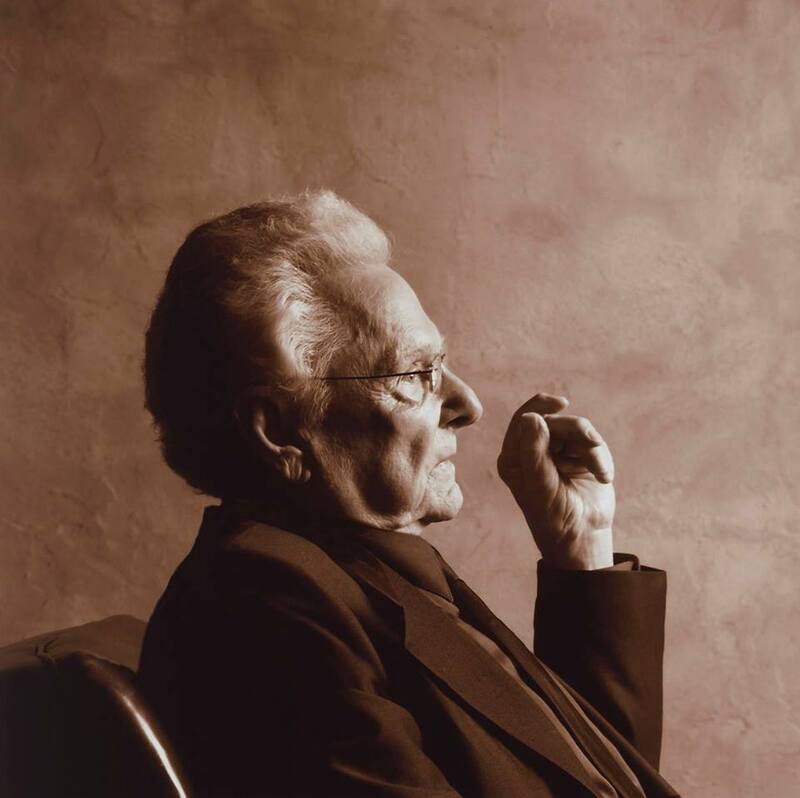 The focus of the talk will be on Ralph Stanley, a bluegrass or ‘old-time’ musician whose long career in popular music gained fresh recognition following the use of his music in the film O Brother, Where Art Thou? (2000). 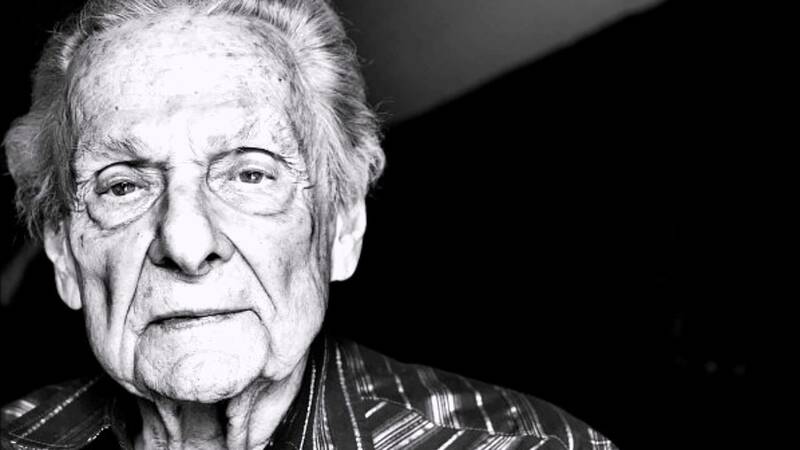 Starting with a discussion of the song ‘O Death’, the talk will examine discourse around Stanley’s age and the ways in which age is witnessed in his voice. This will lead to a discussion of musicians and songs as representation of earlier times and what happens when old musics are revived. 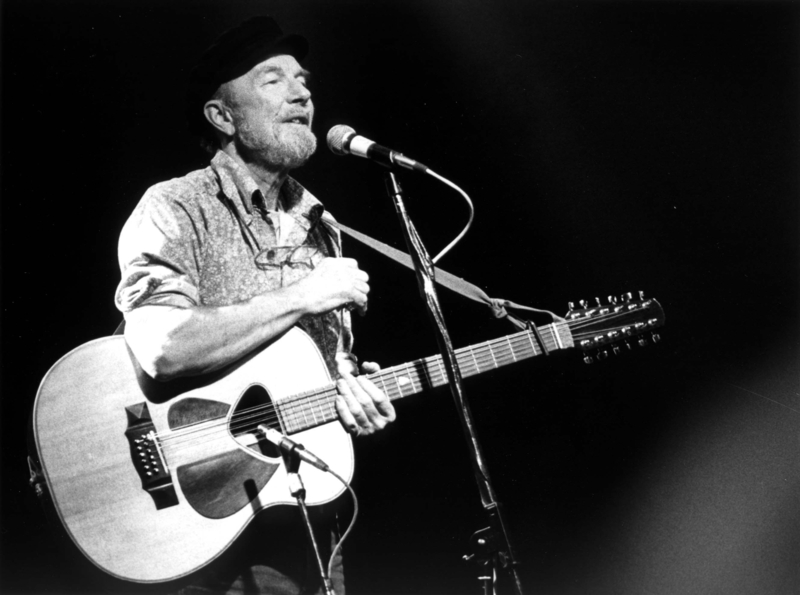 A piece by I wrote for PopMatters a few years back on Pete Seeger, who died yesterday. Pete Seeger is something of an enigma. On the one hand, he is a renowned veteran of the transnational folk music scene, a legendary figure who seems to have always been around. On the other, he remains somehow unknowable, indeterminate, difficult to define. As a folksinger, he falls somewhere between the happy-go-lucky nature of his onetime companion Woody Guthrie and the deadly earnestness of the post-War folk revivalists. As a performer, he veers between the crowd-pleasing antics of the entertainer and the seriousness of the pedagogue. As an educator, he has something of the paternalism of the early 20th century and yet something more of the inclusivity and political correctness of its later decades. Then there’s the way his “right-on-ness” as an activist mixes uneasily with the general un-hipness of his music. The writer Harvey Pekar once put it this way: “The fact that Pete Seeger sings folk songs from around the world doesn’t make him a folk singer, especially since he uses the same style in which to sing them all. Regardless of his political courage, which causes him to be thought of as a man of the people, he’s a pop singer, not a folk singer”. It’s easy to see what Pekar is getting at. There is a sense that the world’s music suffers a quite extraordinary homogenization as it passes through Seeger and on to his audience. Yet he remains at one with that audience—“his” audience, just as he is “their” singer—and so, as Pekar observes, attains political credibility. What kind of pop star has Pete Seeger been? Not the Bob Dylan kind, certainly. As Dylan moved swiftly away from the rather different shadows of Guthrie and Seeger in the 1960s, the trail that he blazed proved pop’s lasting value to be its ability to change, adapt, and morph into unknown new shapes. Seeger, by contrast, stood solid as a rock, the very definition of tradition, rootedness, and commitment. Nor was he the Bruce Springsteen type of pop star, the wide-eyed fan turned rock poet, seeking salvation from the darkness of anonymity. Springsteen’s concerts and album devoted to Seeger’s music may have come about through shared political convictions, but musically they were too far removed from the Boss’s classic aesthetic to sound truly convincing. A chasm seemed to yawn between the world of pop and the world of folk music, with Seeger once again representing the latter. Seeger was, perhaps, a populist folk singer, a strangely tautological term for a man who made certain people’s folk music palatable to certain other people. Class, broadly understood as a way of identifying and categorizing oneself and others, is crucial here. Class brings with it certain imbalances, deprivations, and privileges. Seeger, a son of privilege, sought to translate the voices of the underprivileged to the bourgeois concert hall, to make his audience feel a little less comfortable with itself even as he encouraged its members to sing along. Not that he sang only to such audiences; he traveled widely and was as wont to perform in dangerous situations as in safe ones. “He…played for everybody”, Springsteen is quoted as saying on the sleeve of Live in ‘65. One of two new documents that transport listeners back to the heart of the civil rights era, this album consists of an entire concert recorded in February 1965 at the Carnegie Music Hall in Pittsburgh. The other release is a DVD of Seeger’s trip to Australia in 1963. It consists of 105 minutes of footage from a concert in Melbourne, along with some fascinating bonus features. In 1963 Columbia released We Shall Overcome, an album recorded during Seeger’s concert at New York’s Carnegie Hall. The album helped to further establish Seeger’s place at the forefront of the folk revival and the civil rights movement, as well as promote the work of another Columbia artist, the young Bob Dylan. The liner notes announced the upcoming world tour but said nothing of the drama that lay behind it. For the previous decade Seeger had had his passport confiscated while he fought to overturn a conviction that would have seen him fined and sent to jail for refusing to cooperate with Joseph McCarthy’s witch-hunters. Live in Australia 1963 is an unusual and valuable document due to the fact that Seeger had been blacklisted from appearing on television in the USA for 17 years. As Seeger’s biographer David Dunaway writes in the informative notes accompanying this DVD release, Seeger was a respected figure in Australia, though it is not clear to what extent the middle class audience present at the Melbourne concert knew what to expect: “Did they know that the fellow introducing Bob Dylan’s ‘A Hard Rain’s A-Gonna Fall’ was the most publicly feared American artist since actor-assassin John Wilkes Booth?”, asks Dunaway, “Did they know they were going to yodel?” What they got was a program of songs that included Seeger staples (“If I Had a Hammer”, “The Bells of Rhymney”, “Kum Ba Ya”), some international numbers (“Highland Laddie”, “Genbaku O Yurusumagi” “Freihait”, “Luar de Sertão”), songs from the new folk songwriters (Tom Paxton, Bob Dylan), the occasional novelty banjo piece (“Allegretto from Beethoven’s 7th Symphony”), a Woody Guthrie medley, and much more. While in Australia, Seeger also presented a half-hour television program about the career and music of Lead Belly entitled “Two Links of a Chain” and was interviewed in television studios and on university campuses in Sydney. The Lead Belly profile is notable not only for the filmed footage of its subject, but also for the section where Seeger, wanting to illustrate the rhythm of a work song, starts hacking at a log while singing, sending wood chips flying into the audience with wonderful abandon. All this footage is included among the bonus features, along with a short film made by Seeger and his wife Toshi about Australian folksinger Duke Tritton. Ever the musical sponge, Seeger was collecting as many songs as he was performing on his trek around the globe. The compilation of all this Australian material, along with the well-produced booklet, make this an excellent DVD package and a worthy start to Reelin’ In The Years’ Folk Icons series. The recording of the 1965 concert is newly discovered and is presented on two CDs. Seeger’s role as educator is represented throughout the program. As the liner notes (by Appleseed’s Jim Musselman) attest, Seeger’s concerts were “an early Internet”, bringing audiences a menu of old and new, local and global material as fast the singer learned it. Only two songs from the We Shall Overcome album are included, “Guantanamera” and “A Hard Rain’s A-Gonna Fall”. Seeger includes some songs that have a local connection to the venue, such as “When I First Came to This Land”, “Step by Step”, and “He Lies in an American Land”, the latter a song learned from a Slovakian singer in Pittsburgh. Seeger adapted the verses into English and Springsteen later added more for his own version. In all, there are 31 songs, a lot of anecdotes, a few fluffed lines, and some attempts (successful, thankfully) to deal with a misbehaving banjo. This warts-and-all approach delivers a more faithful idea than the edited We Shall Overcome of what it was like to attend a Seeger concert. This seems only appropriate, given the centrality of honesty in the man’s work. Listening across the years, one can’t help but notice a sense of coziness in the way the music sounds. Despite his recourse to the same old folk songs that would fascinate Harry Smith and later Greil Marcus, Seeger’s songs come across less as examples of the “old weird America” and more as lessons from old familiar America’s favorite uncle. He’s the family member who’s there as our moral compass, but whose endlessly repeated imperatives to be good we are happy to receive. Seeger has always been very much the family man, coming from an extended family of prominent musicians, singing songs for children (as Woody Guthrie had done), and often making reference to his wife and children. Toshi Ohta-Seeger and manager Harold Leventhal were responsible for organizing the world tour that followed the return of Seeger’s passport. Toshi and the children accompanied Seeger on the tour. It is perhaps no surprise, then, when Seeger dedicates the Melbourne concert to children everywhere. But when he adds an additional dedication to the four black girls murdered the previous day in the Birmingham, Alabama, church bombing, we are reminded that Seeger’s situation was far from cozy, that he was fighting for his and others’ freedom on a constant basis. If anything, it was Bob Dylan who was moving further into the sphere of the comfortable as he embraced rock stardom. It’s just that, when he sang, Dylan sounded—and still sounds, listening back—as though he was fighting for his life, whereas Seeger didn’t. If recordings are quotations from particular eras, bounded fragments removed from their original context, we can only approach them later according to how they sound. In this sense, at least, Seeger sounds tame. We can, and should, listen beyond the sonic text to the social text from which it came, but it may still be hard to hear the danger. Other issues arise as the songs and anecdotes roll on. To what extent, one wonders, was Seeger preaching to the converted? When not doing so, to what extent did his message get through? Listening now, it seems as though the audience, particularly on the 1965 recording, are laughing at the wrong moments. What no doubt passed for lighthearted multicultural inclusivity then sometimes sounds like laughing at the funny ways of foreigners now. The language of tolerance, it seems, dates more swiftly than its opposite. One is reminded of the way in which the audience is heard laughing during the first part of Nina Simone’s classic recording of “Mississippi Goddam” (written as a response to that same Birmingham atrocity), or of how, as related in David Margolick’s book Strange Fruit, Billie Holiday’s anti-lynching song was heard in some quarters as light entertainment. Seeger and Simone faced the same problem in the 1960s: how to smuggle subversion into the entertainment program expected by the supper club set, how to get at the truth while keeping things hummable. Simone, at least, would often veer away from this type of truth-work and opt for a truth of artistic expression and aesthetics that would lead her increasingly away from the inclusivity Seeger sought. Her journey from Martin Luther King through Malcolm X and on to Stokely Carmichael could even be heard in the musical and lyrical progression of one single song. “Mississippi Goddam” may start with a plea for tolerance but it ends in apocalypse and threat: “you’re all gonna die and die like flies”. One sometimes wishes that Seeger could be as cruel to his audience as Simone was to hers. Notwithstanding the occasional torrent of hazardous flying wood chips, his is a different strategy. If anything, it is one more closely aligned to folksinging traditions outside the Anglo-American world. In styles associated with Ireland, Mexico, Portugal or Chile, for example, there exists a different register of authenticity to that found in the Anglo-American mainstream, marked as the latter is by deconstructive strategies that are often knowingly ironic or strategically moronic. While pop may be on a mission to remain younger than yesterday, other traditions are less worried about the cool factor. To listen to a Silvio Rodríguez or a Christy Moore is to be made aware of this difference. To hear the ominously beautiful and deadly serious sonorities of the late Mercedes Sosa echoed in a younger singer like Lila Downs is to be made aware of the tradition’s ongoing relevance for millions of people. To hear Pete Seeger, as we do on Live in ‘65, sing “Guantanamera”—with its telling line taken from José Martí, “yo soy un hombre sincero”—is to hear his connection to an internationalized network of awareness and resistance, a truly global music of conscience that transcends the limitations of its local translations. Ultimately, we shouldn’t judge Seeger too harshly on the datedness of his delivery, but rather focus on the remarkable persistence of the man himself. He is Pete Seeger, after all: the ultimate hombre sincero.